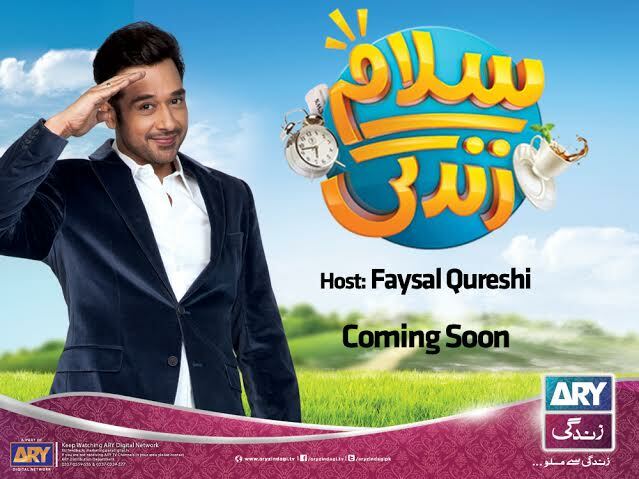 Faysal Qureshi - All Set To Shine On ARY Zindagi! This will be the second time Faysal takes responsibility to make the people of Pakistan rise and shine to happy mornings. He’s done it before, and he’s all prepared to do it again! This time around he will be seen hosting a morning show titled ‘Salam Zindagi’ on our very own channel, ARY Zindagi! The launch of ARY Zindagi is followed by Faysal Qureshi’s morning show, ‘Salam Zindagi’ which is starting from 14th March on ARY Zindagi. So we have not one but two things to be super excited about! Morning shows have become very popular these days with all the biggest names in the industry hosting or being a part of them. So what’s so new and unique about this one? Well, Faysal intends on spreading smiles and positivity through ‘Salam Zindagi’. “People should feel fresh when they get up in the morning. After watching depressing news headlines before they go to bed, I don’t feel they should be presented with bad news and messages in the morning as well. People in Pakistan are already disheartened with the country, as well as their personal day to day problems. I want to take people away from the negativity and help them see what is good around them.” said Faysal when asked how he plans on bringing a change with his show. No matter what troubles people sleep through at night, they should always wake up to better and positive mornings! This is how Fayal Qureshi will take responsibility in making Pakistan a happier nation every morning starting 14th March 2016! What’s best about this happy morning show is that it won’t be pointless (like most morning shows), Salam Zindagi will promote a message along with all the fun, smiles and laughter! It’ll entertain you and educate you, both at the same time! Nadia Yasir invited Faysal Quershi on ‘Good Morning Pakistan’, where one morning show host promoted another upcoming morning show host with complete positivity. 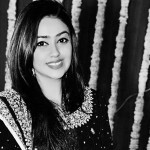 She welcomed him to the ARY family with immense warmth and love. Watch the morning show to see what happened and what you should be looking forward to! We wish Faysal Qureshi all the best for this new and positive venture with ARY starting from 14th of March at 9:00 am, Monday to Friday on ARY Zindagi.